5.0 out of 5 starsEssential book for every therapeutic foster/adoptive home! Excellent resource for every foster parent or adoptive parent providing care for a child with early childhood trauma. This book is foundational but also practical. It is set-up so one can quickly search for an issue they are having with their child and get the help you need in a few pages. For instance, if your child is struggling with controlling behaviors then turn to the “C’s” (it’s alphabetical by behavior/issue, hence the title of the book) and on page 124 you will find the what, and why along with a “reality check” regarding the behavior, then strategies- preventative, during, and after. It’s enormously insightful, and just what one needs when you are in the trenches with these amazing children who need special nurturing and love. Thank you, Sarah Naish!! Another brilliant work! The A-Z of Therapeutic Parenting is divided into 2 sections. Section one introduces concepts such as “developmental trauma” and the “inner working model” and offers a general overview of what is meant by the term “therapeutic parenting”. Section two offers a veritable encyclopedia of specific behaviors, their causes and strategies to address each in an easy to search alphabetical format. What struck me was the number of undesirable behaviors which have as their root cause fear or a need by the child to attempt to control their environment or situation. The alphabetic listing of these behaviors allow this book to be used as a quick reference at the time they are occurring and having downloaded this book to my Kindle App, it is always on my phone, so it is always with me. I found this book to be a great extension of the TIPS class we took at DHR. We are thrilled to have this new resource written by such a knowledgeable and skillled person as Sarah Naish. She has many years of experience in working with children who have developmental trauma, both as a professional and more importantly as a foster and adoptive parent, and she has created a very user friendly and comprehensive guide for healing our children. The book is organized in such a way that it can be used to find specific techniques that will help a parent the moment the behavior occurs. Tonight I looked up “arguing” - the section begins with several reasons why the behavior could be occurring, which helped me to be more objective and empathic, what to do while it is happening, and suggestions for how to manage re-connection after the behavior has stopped, Everything that’s needed in one place- perfection! I’m planning to buy a second copy to share with our son’s teachers, which will be the very best way to help them and educate them compared to the way I’ve been trying to explain his unique needs. Thank you, Sarah!!! 5.0 out of 5 starsHave you often wished your kids came with a manual? NOW THEY CAN!! First, Sarah Naish brought us 'Therapeutic Parenting in a Nutshell'... which left us asking for more. She's delivered! 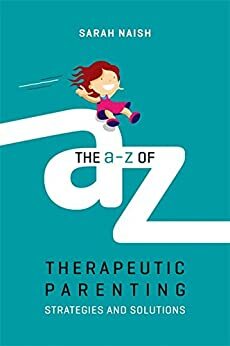 'The A-Z of Therapeutic Parenting...' takes the ideas in the first book and builds upon and organizes them so that a parent can quickly find answers. Have you often wished your kids came with a manual? NOW THEY CAN!! 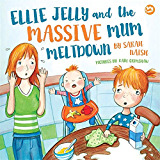 Though this book has the word 'Therapeutic' in the title, the bright jewels of parenting knowledge within changes the lives of all families for the better. There is not a person living on this planet who has not experienced some kind of loss or strong emotions in their lifetime. Ms. Naish brings an awareness of the whole body effect of these experiences, and how to address it with firm compassion and empathy. Based on a combination of like-minded perspectives, along with scientific research in childhood trauma, and an overwhelming success rate for healing children from all ways of life, anyone who has a child, knows a child, or was a child should read this book! 5.0 out of 5 starsLove it and cannot recommend it highly enough! This is a must-have for anyone struggling to parent a child with an attachment disorder. Actually, I recommend this as a fantastic way to parent ALL children. I was desperate, and ready to give up trying to parent my very traumatized child, until I discovered therapeutic parenting. I still have a very traumatized child, but she is improving daily, and I have absolute confidence she will continue to do so with these strategies in place. Sarah Naish GETS it! She absolutely knows what she is talking about! Traditional strategies have to be chucked out the window when dealing with complex children, and this is what you should replace them with! I absolutely recommend this book!